Brown Turkey is the most reliable fig for the UK climate and in late August to mid September produces a heavy crop of purple-brown fruits with sweet red flesh - harvest and enjoy! Plants are very vigorous and growth should be limited by restricting the roots to a large container (which will also encourage fruit formation). 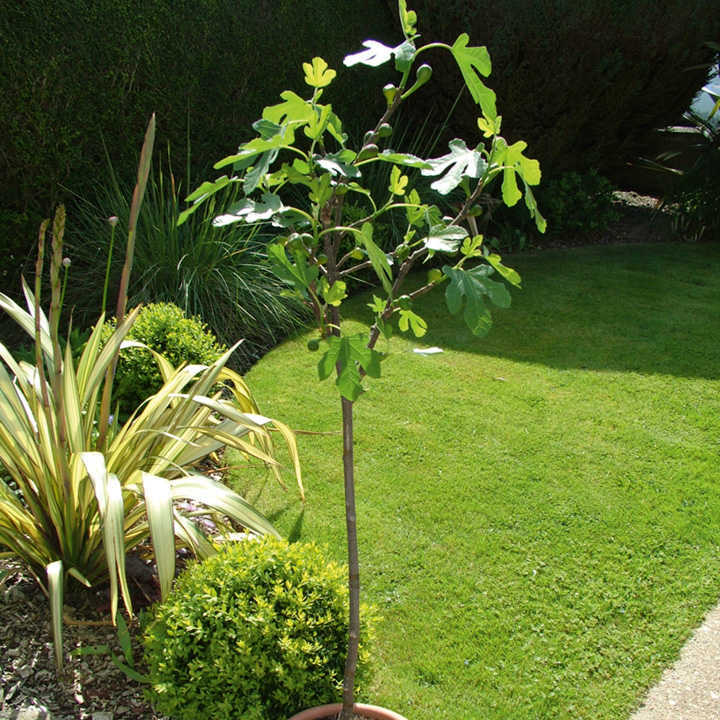 If you want to grow a fig as a traditional shaped tree on the patio, our beautiful 'standard' plants (pictured) are ideal. 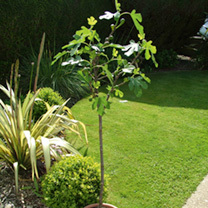 Alternatively the bush is easily trained against a wall and pruned to fit the required space. Supplied as "standard" in a 4 litre pot. 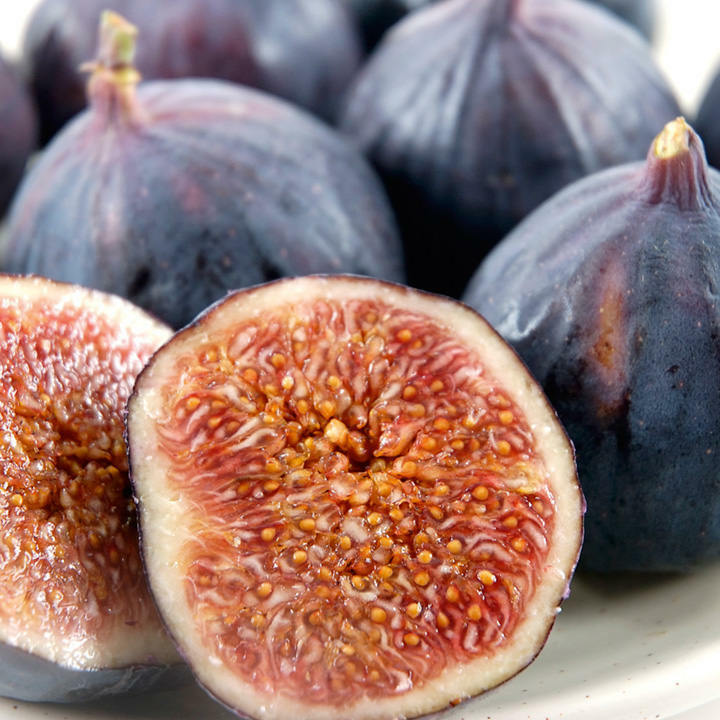 Figs will bring a Mediterranean flavour to your garden, combining handsome foliage with a tasty and bountiful harvest. They’re vigorous plants, so growth should be limited by restricting the roots to a large container (which will also encourage fruit formation). Alternatively they can easily be trained on a wall and pruned to fit the required space. These varieties are strong-growing and quick to start fruiting and, once mature, will withstand the coldest winters.